The d:facto™ Vocal Microphone is engineered especially for vocal performances onstage. It captures electrifying stage performances and accurately replicates a singer's voice transparently, consistently and thrillingly. The mic is optimized for use in sound reinforcement as well as recording applications. It offers natural sound, high separation from nearby sound sources and SPL handling up to 160 dB. And, if you decide to go wireless, you can just switch to an adapter for wireless at a quarter of the cost of a new microphone. 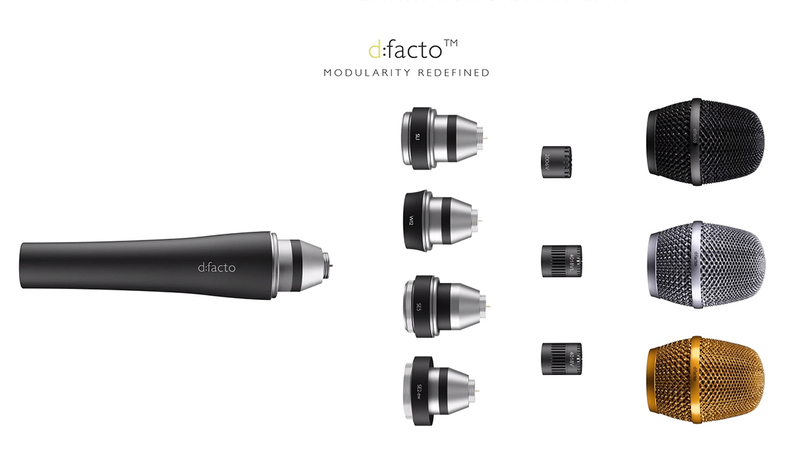 The modular nature of the d:facto™ series allows you to switch both the capsule as well as the adapter. The d:facto™ Supercardioid Capsule features an isolation-optimized supercardioid polar pattern. It is specifically designed to augment the human vocal range. This VIP (Voice Isolation Pattern) uses directional characteristic from the best of two worlds – both cardioid and supercardioid patterns. The capsule’s directional pattern and definition gives high separation and true sound color onstage. It is ideal for PA amplification and recording. 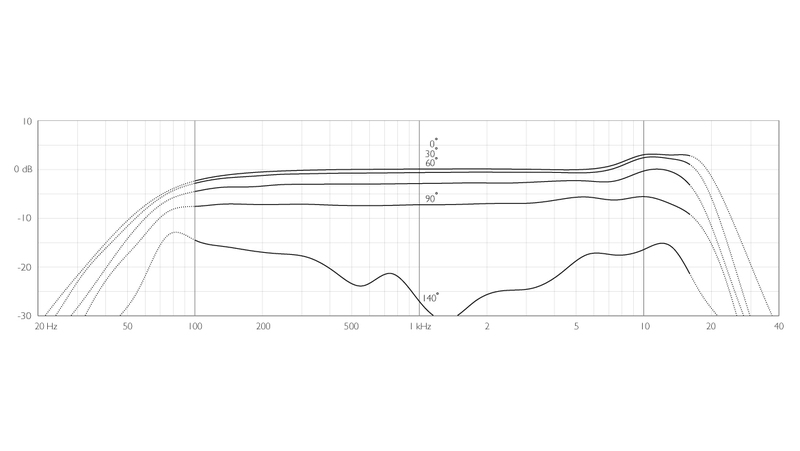 Frequency response and phase, both on- and off-axis, is linear. You can remove the capsule and replace it with any other d:facto™ or d:dicate™ capsule if your needs change. Although this version of the d:facto™ Vocal Microphone comes with a d:facto™ Handle for a wired solution, the d:facto™ Vocal Microphone is also the perfect choice to use with your favorite wireless system. This gives you flexible, simple and affordable possibilities. With the d:facto™ series, you are no longer bound to one wireless system. As circumstances change, you can just switch your adapter at a quarter of the cost of a new microphone. You won't hear any loss in sound quality. See all our d:facto™ Adapters for wireless and find an adapter that fits your wireless system.